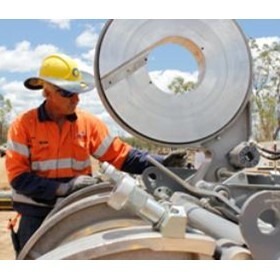 Moultrie Group is the service partner of choice for many Australian and international mining, exploration and infrastructure companies seeking customised and fully integrated professional and technical services to enhance client capabilities across their project life-cycle. The Moultrie Group is a leading technical and professional service provider to the exploration, mining and infrastructure sectors. With over 400 professional staff, we provide a comprehensive range of specialist services to help our customers achieve their strategic and operational objectives. Our 'Explore, Evaluate, Ensure and Enable' philosophy allows us to deliver services that span the entire resources and infrastructure life-cycle – from resource development and exploration through to technical services, civil construction and safety and training. To ensure maximum client satisfaction, our diversity of service is underpinned by an organisational culture of excellence.